The Peoples Democratic Party (PDP) cautioned Kaduna State Governor, Nasir El-Rufai, over his unguarded comment, wherein he referred to its Vice Presidential candidate, Peter Obi, as a tribal bigot. The party’s National Publicity Secretary, Kola Ologbondiyan in a statement on Saturday said Chief Peter Obi is well known for his nationalist disposition and cannot in anyway be associated with tribal bigotry. The PDP, therefore, advised Governor to face the myriad of problems he has caused in Kaduna state for which the people have resolved to vote him out and stop his attempt to further foul the nation’s political space by making comments capable of stoking religious and ethnic division in our country. 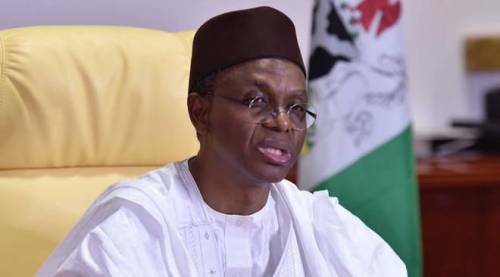 Governor el-Rufai according to the PDPD should not attempt to export the kind of inciting and inflammatory statements that have led to conflagration and bloodletting in his Kaduna state to the national political firmament. PDP said ‘From el-Rufai’s comment, Nigerians now know those behind the series of smear campaigns and spurious allegations against our Presidential candidate, Atiku Abubakar and his running mate, Peter Obi. ‘Instead of fixating on our party and the soaring popularity of our Presidential candidate, we expect el-Rufai to show remorse that he was part of those who brought in the Buhari administration, which has inflicted so much pain on Nigerians in the last three and half years. ‘He must therefore know that the 2019 election will not be about name calling, smear campaign and character assassination but on finding solutions to the issue of governance for which Nigerians are fully rallied on the platform of the PDP. ‘Any person that doesn’t recognize the human right of every citizen to move freely, live and work in any part of Nigeria, but implies that though foreigners can observe elections in his state, other Nigerians may only do so in their states of origin is not fit to be VP of Nigeria! Any person that doesn’t recognize the human right of every citizen to move freely, live and work in any part of Nigeria, but implies that though foreigners can observe elections in his state, other Nigerians may only do so in their states of origin is not fit to be VP of Nigeria!